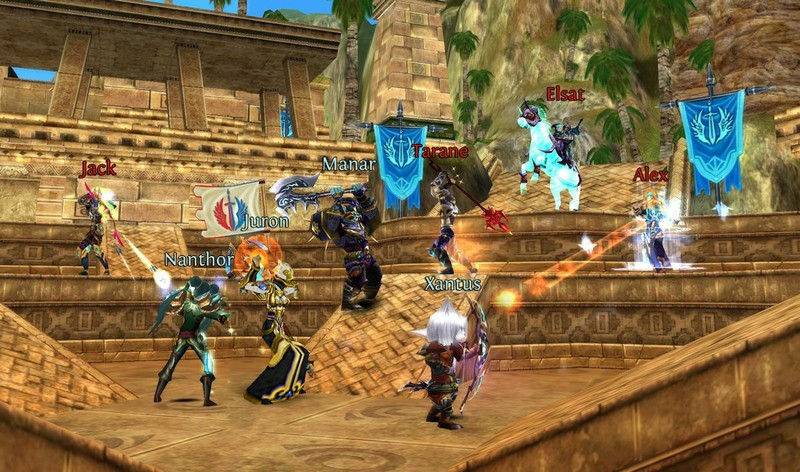 If you’re like me, you fondly remember Gameloft‘s Order & Chaos Online, an MMORPG that launched last year with a number of bugs that really went largely unnoticed due to the massive size and gorgeous graphics that the game offered. Unfortunately, some of these bugs couldn’t be ignored, such as the inability to complete dungeons and various glitches, among others. The game also had its Xbox Live support cut back in August, by which time many of us had already stopped playing it. However, our good friends over at WC have reported that Gameloft will be briinging the game back on December 15th, and will be including its Xbox Live support. In addition, the game will also be available on Windows 8.1 tablets and PCs and will initially be available for free, down from its original price of $6.99 USD. League of Champions: join a league of legendary warriors and earn Honor Points based on your team performance. Rise to the top of your League leaderboard and redeem Honor Points for special weapons and equipment. As we already reported, a pending update is coming for Asphalt Overdrive but Windows Central reports that UNO and Friends is getting an update too. What do you think about the games return? Post your thoughts in the comments!